A stock photo of the Kerala floods. Photo: Praveenp. Three of Indian Railways’ Southern zones have been severely affected by flash floods, land slips and rockfall as a result of extreme weather in the state of Kerala. Almost 400 people have died and millions displaced by Kerala’s worst floods in a century. 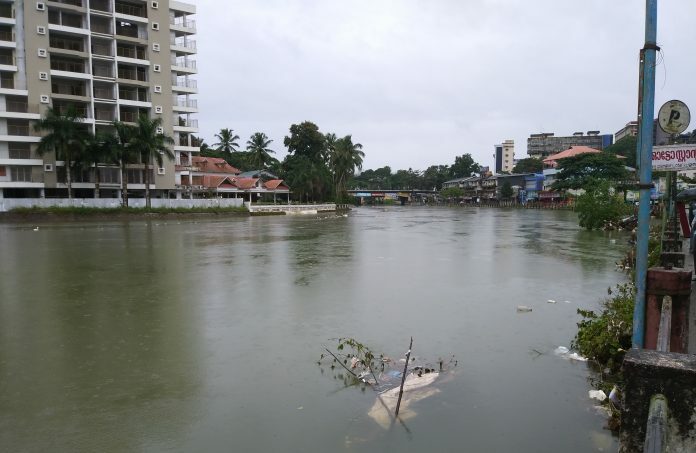 The Thiruvananthapuram railway division was hit hardest by the unprecedented rainfall, according to India’s Ministry of Railways. Across its zone, water level rose above danger level at 11 bridges, track was submerged at three locations, embankments washed away at another three and earth slips occurred at seven sites. Meanwhile across both the Palakkad and Madurai railway divisions, water rose above the danger level at 10 bridges, track was submerged at one location and earth slip and falling boulders impacted another six locations. Efforts to restore and rebuild Kerala are in full swing, and on August 21 the Ministry of Railways announced that normal traffic was set to resume for the majority of services thanks to the colossal efforts of its staff. A map of Indian Railways’ railway zones. 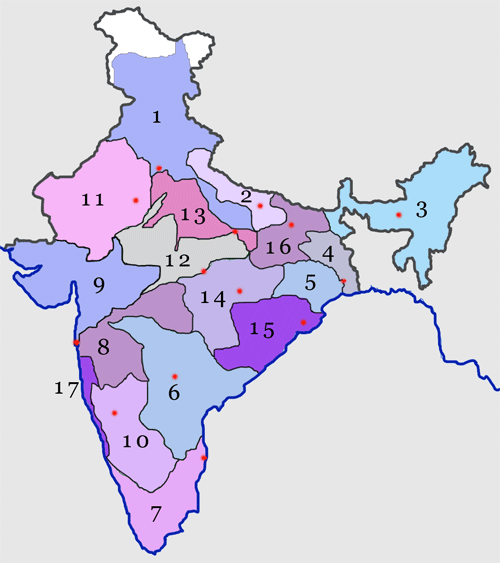 The Southern Division is labelled 7. Photo: Nichalp. More than 500 railway staff worked around the clock through heavy rainfall and adverse conditions to restore tracks and reinstate connectivity in the state. Nine track machines and seven special boulder-carrying trains were drafted in to assist with the efforts. Indian Railways, which is known to recruit sportsmen and women into its ranks, dispatched 10 employees who are also professional swimmers to help with rescue operations in the district of Pattanamthitta for five days. In addition, Indian Railways has assisted with the wider relief effort by transporting water and food without charging for consignments.